Shree Dattatreya was born at the dawn of the Margashirsha Pournima (full moon day of the Margashirsha month). This day is celebrated across the nation as the ‘Datta Jayanti’. 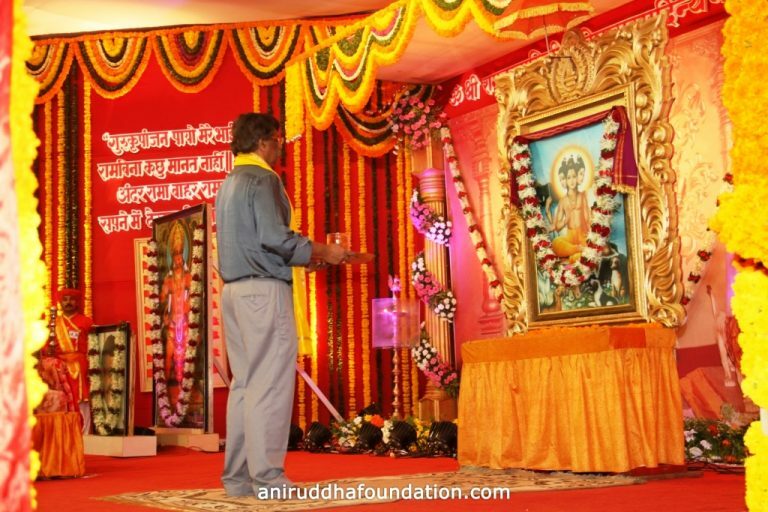 Under the loving care and guidance of Sadguru Aniruddha Bapu, every year, ‘Datta Jayanti Utsav’ is organized at New English School, Bandra (Shree Harigurugram). In the second edition of ‘Shrimad Purushartha Granthraj’ titled ‘Premapravas’, Sadguru Shree Aniruddha has written, ‘Dattaguru is my everlasting jap. Therein lies everything of mine and it is also my unending chant’. Moreover, the 31st chapter of the sacred book, ‘Matruvatsalya Vindanam’ penned by Sadguru Shri Aniruddha, recites the glory of Shree Dattatreya as below. 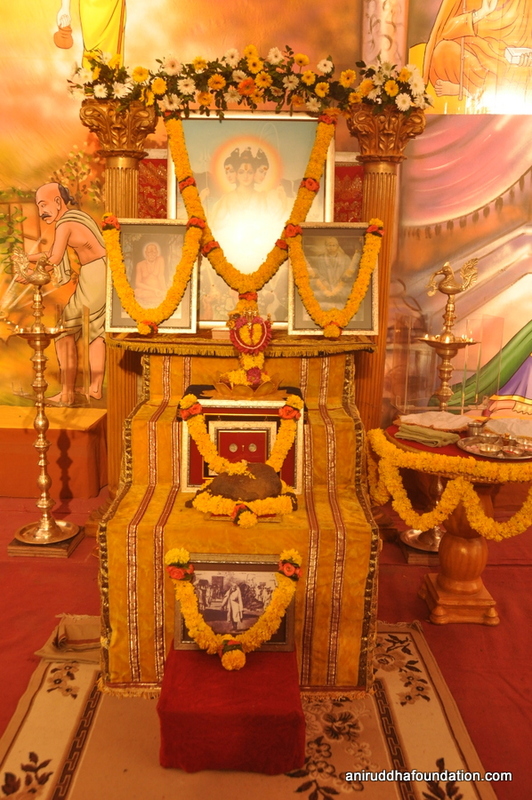 In the very same ‘Matruvatsalya Vindanam’, he has also written, ‘Gurubhakti means Shree Dattatreya Bhakti, is the very heart of Shree Dattamangala Chandika and will be the only saviour for humans in the Kaliyuga. And therefore, the auspicious day of Dattajayanti holds utmost importance to kindle Shri Guru Bhakti in every person’s heart, and it is this very day that bestows happiness and contentment upon every Shraddhavan. Every Shraddhavan enjoys the recitations of Mantra, Gajar and Stotras during the Utsav. The upasana commences with the recitation of prayer (mentioned below) that invokes Shree Dattaguru, 54 times. To kindle the love of Dattaguru in your heart and have it permanently instilled in one’s Sahastrar Chakra, is the thought that every Shraddhavan holds while chanting the mantra. 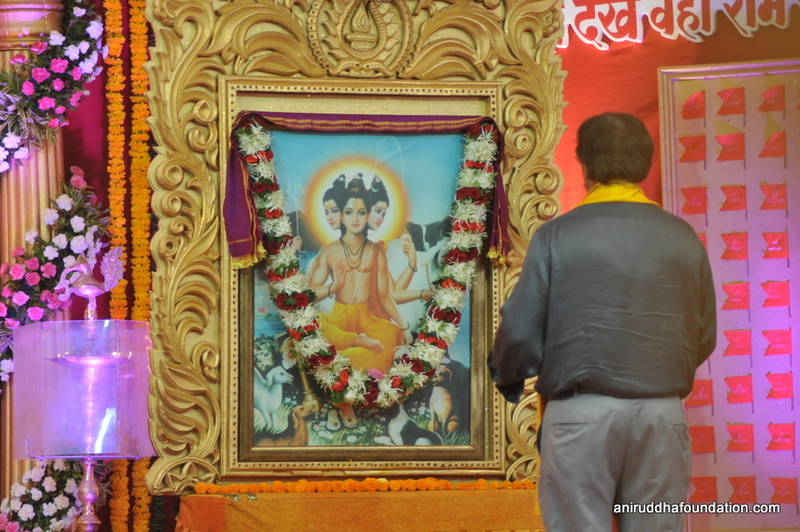 This is followed by recitations of the ‘Ghorakashtoddharan Stotra’ written by Shree Vasudevananda Saraswati and ‘Dattabavani’ written by Shree Rangavadhut Maharaj. Shraddhavans get engrossed and lose themselves in a mellifluous hymn of the Gajar- ‘Om Sai Shree Sai Jai Jai Sairam’. 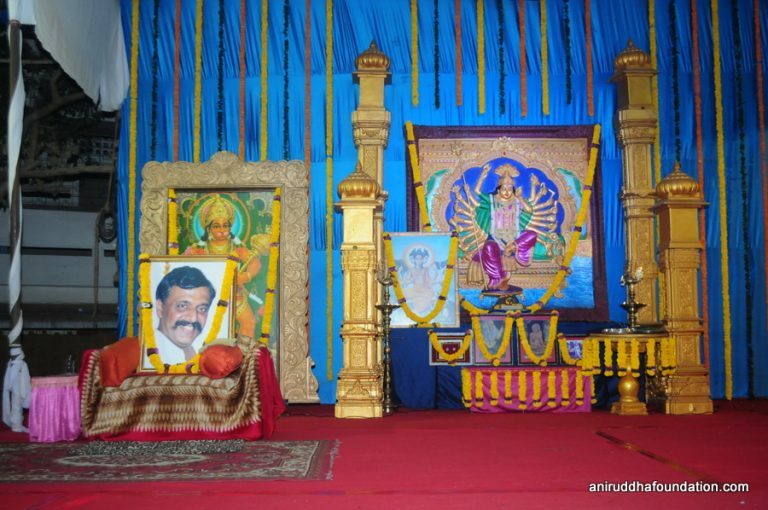 It was on the auspicious occasion of Dattajayanti Utsav of the year 2005 that Sadguru Shree Aniruddha (Dr Aniruddha Dhairyadhar Joshi) started the non-political daily newspaper, ‘Pratyaksha’. The newspaper provides news and analysis mainly on the global geopolitics and a few important national news. Moreover, news with a particular focus on the ‘Third World War’ that highlights various facts and effects related to the same are also published. Also, from the year 1996 till 2004, ‘Shree Aniruddha Visheshank’, a collection of various experiences, would get released on the day of ‘Dattajayanti’.